Financial markets have been changing at a fast pace since past several years. With the advent of technology, automation and artificial intelligence, markets have shifted gears from traditional noisy floors to high speed computing machines. This evolution of financial markets has given its way to use of computerized algorithms which can automate your trading decisions. 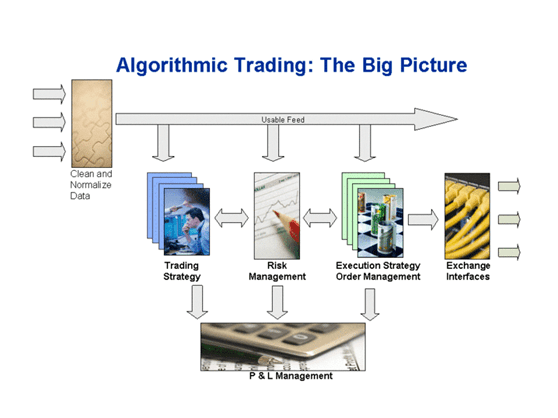 Algorithmic trading is in application throughout the world from a decade or more. But still there are super successful traders who believe in Discretionary trading. Let’s understand these two practices closely and figure out Pros and Cons of each. It is a subjective method of trading where self-discretion is most important to identify stocks for trading. Every individual can have his own view on a particular stock, so this method of trading varies from person to person. It’s not 100% true that only fundamental analysts are discretionary traders, even a technical analyst who traders on indicators or chart patterns can rely on his discretion before punching order into the system. Self-discretion depends on many phycological factors like your personality, sentiments and risk-taking capacity. In discretionary trading, traders can react immediately to real time market changes. Hence, they are less vulnerable to black swan events. In discretionary trading, traders take into account various fundamental factors like company performance, market sentiments etc before taking any trades. This may benefit in case of low volume stocks where Dow theory or Technical analysis wouldn’t work always. They fall prey of their own emotions which may lead to early profit booking or prolonged losing streak. There is no way to backtest your own discretions because it may change every time. So, you cannot really assess your system performance before going live with it. Algorithmic Trading, in contrast, is an objective method of trading governed by fixed set of rules which doesn’t change frequently. Once you define your rules, and code it using computer algorithms, the system will signal every trading opportunity when those rules are satisfied. Also, it will tell you when to exit your positions. Algorithmic trading need not to be fully automated. You can still punch your orders manually based on the buy/sell signals you receive from your algorithm. Algorithmic trading is not always based on technical analysis, even fundamental indicators can be incorporated into your rules. Algorithmic traders do not get affected by emotions which is the biggest enemy for every trader. They have their rules defined and do not consider any other external factors while trading. In case of Algorithmic trading, you can have a proper risk management in place. Stop Loss, target and position size can be defined in the algorithm itself which cannot be adjusted based on discretion. You can backtest your strategies for any period of time on any stock and optimize the trading rules. Here are some of the profitable backtested Algorithmic trading strategies. Computational errors, network glitches or any unexpected technical errors may lead to unforeseen losses. I religiously follow Algorithmic trading and recommend the same to my followers at tradingtuitions.com, infact there are several readymade algorithmic strategies available at my website. However, I understand that there is scope of improvement in this space at least in India due to technical and process constraints. The best course of action would be to follow your algorithm rules most of the time and switch back to discretionary mode during volatile market conditions.